Francesco Grasso Law Firm will help you resolve disputes and protect your rights in any court in Italy. If you are involved in difficult or conflict situation, or you’re having problems with your business partners, a qualified legal help will be necessary in such cases. 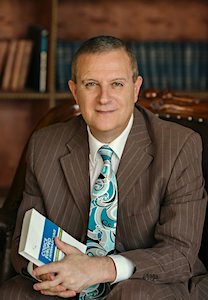 Attorney Francesco Grasso has early 30 years of professional legal experience. He conducts an administrative, business, civil, labour, and family law cases in the courts of general jurisdiction, arbitration and the Court of Cassation. He gained practical experience in the fields of labor and commercial law. Francesco Grasso provides legal services on drafting of agreements, international contracts, purchase of assets, registration of companies, debt collecting, real estate buying and renting, conducting family dispute cases, child maintenance, immigration to Italy, and obtaining a residence permit. Access to national and international electronic databases and the possibility of conducting legal proceedings through the internet enable Grasso Law Firm to represent the interests of his clients throughout Italy and abroad. You can get legal qualified aid no matter what part of the world you are in. The only thing you need is to have an access to the Internet. The online consultation allows you to solve your problems quickly without leaving your home or office. 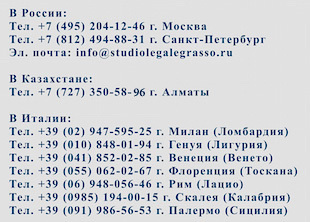 The request for online legal consultation can be done in English, German, Polish or Russian. The cost of legal advice will vary depending on the complexity of the legal matter. The Law Firm’s clients spread worldwide. Among them are foreign companies from EU countries, the Baltic States, CIS countries, China, as well as individuals.